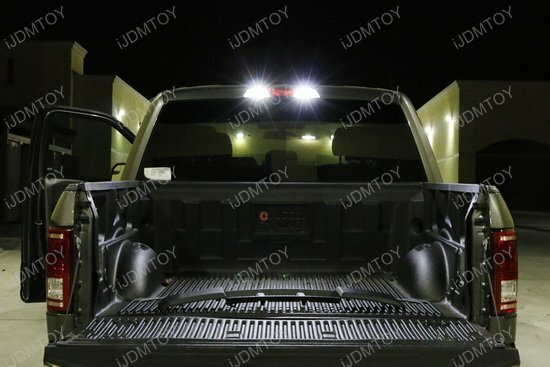 Q: Can I use these LED bulbs other than backup reverse lights? A: No! 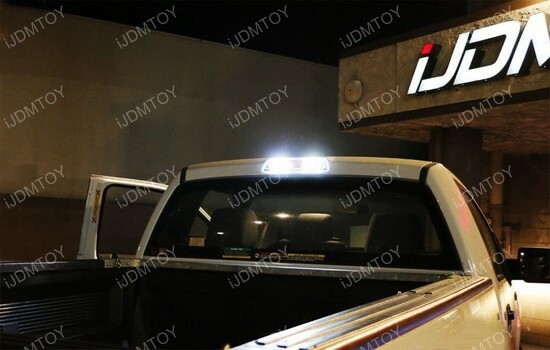 These CREE High Power T15 LED bulbs are specially designed exclusively for backup reverse lights ONLY. 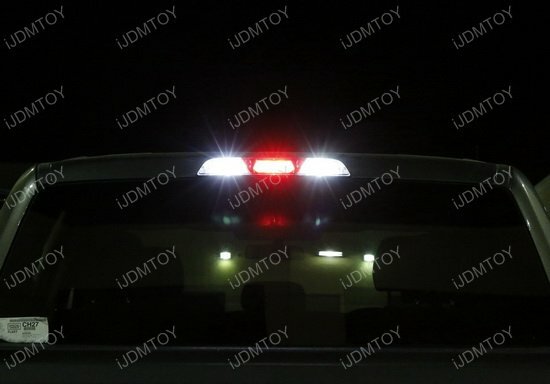 We have designed this kind of LED with a large enough wattage so they will light up much brighter for a reverse light purpose and successfully pass most European cars' on board computer check. Because of this, these LED bulbs will overheat if it is constantly lighting up. 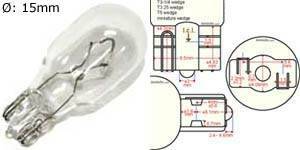 So please do not use these LED bulbs for parking lights, license plate lights nor driving daytime lights; any improper use of this LED bulbs will cause the LED to burn out and void the replacement warranty. 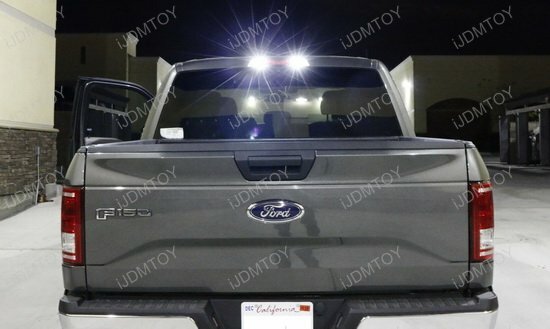 This page features 2 pieces of 360-degrees shine xenon white LED bulbs and 2 pieces of 360-degrees shine brilliant red LED bulbs that can fit most trucks to convert the entire high mount 3rd brake light to LED. 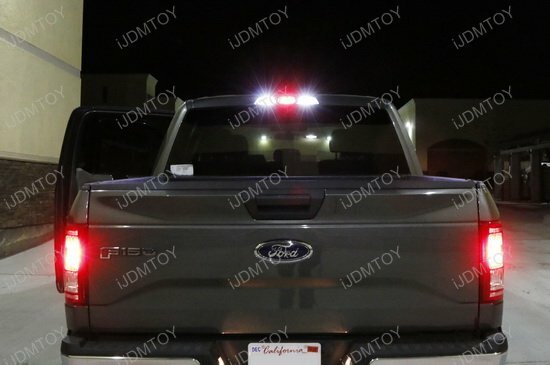 These brilliant red LED bulbs will replace the center brake light and the xenon white LED bulbs will replace the two side rear clearance lights. 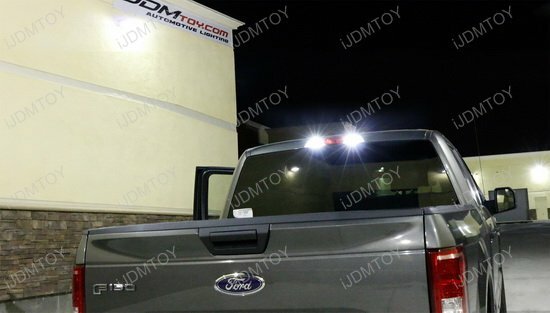 The high mount 3rd brake light is one of the most visible parts of a truck that other drivers can see so it's one of the most important features you can upgrade. 5 of 5 Total Reviews: 14 Write a review. 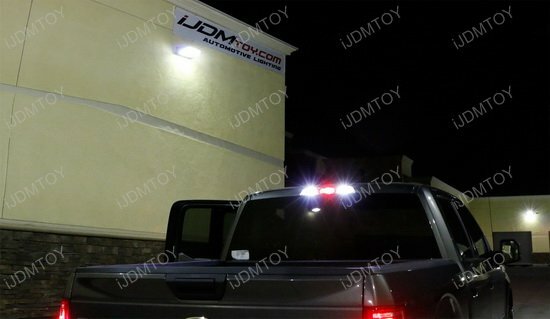 I bought these xenon white LED dome light bulbs to make the interior of my truck bright and they did the job! No more yellow low lights!! Make sure you know which bulbs your vehicle uses. 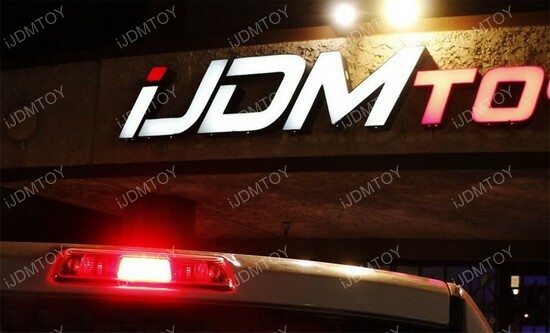 Would definitely continue to purchase these 360 degree shine LED light bulbs from iJDMTOY. 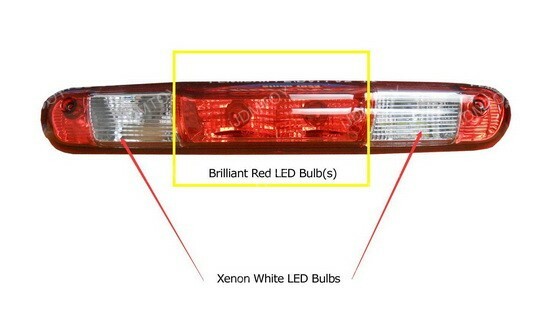 Put these in your brake light, stop/turn, and 3rd brake light. they fit nicely and feel of quality. 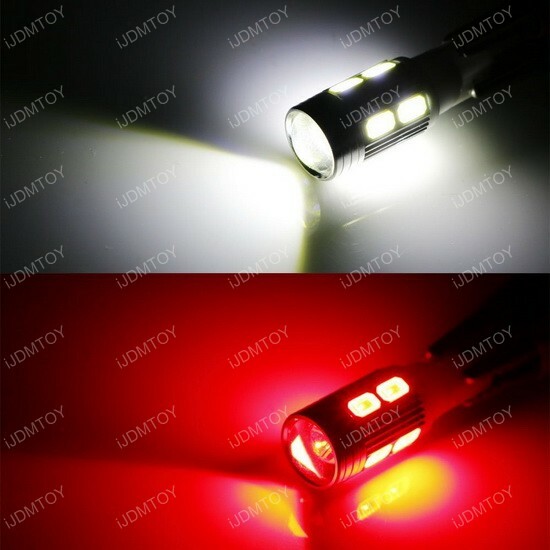 a nice set of 2 brilliant red/2 xenon white, for those specific lights you want to upgrade without buying a ton of lights. 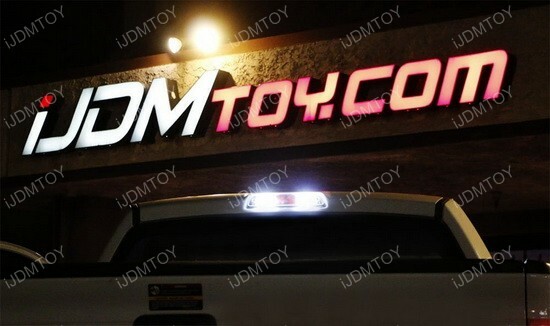 Buy this set of LED 3rd brake/cargo lights, upgrade your entire setup to LED and let the light lead you! 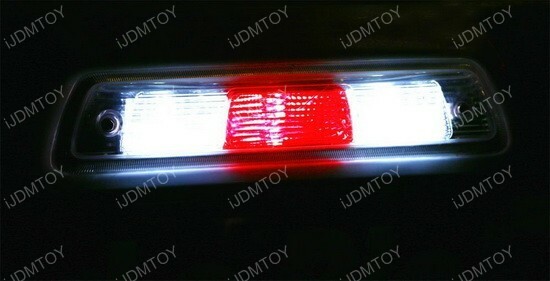 Initially I thought these LED 3rd brake light bulbs weren't working when I looked at the bed cargo lamp from the side. When I got further to the rear of the truck I was able to see these were in fact working very well. I like that the bulb bases are color coded for easy installation. 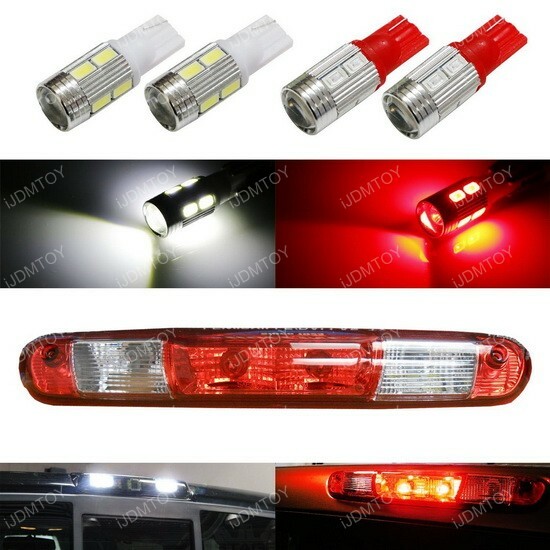 I used these 3rd brake light bulbs in my 2013 Ford f250 to replace the third rear brake light and bed light. They are great. Two are red and two white. So the plastic cover no longer is the only thing determining the color of the light coming out. 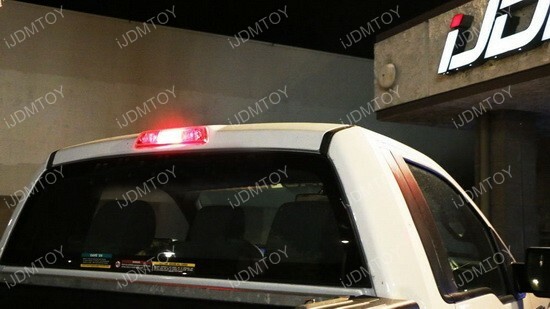 It looks like the white could be used for the main brake lights. Not sure if that is legal or not. I haven't tried it. Not sure if they have to be a certain brightness.